These two Vintage Color Palettes are perfect for showing off the unique colors used in vintage mid-century advertising illustrations. This is total Mad Men territory. 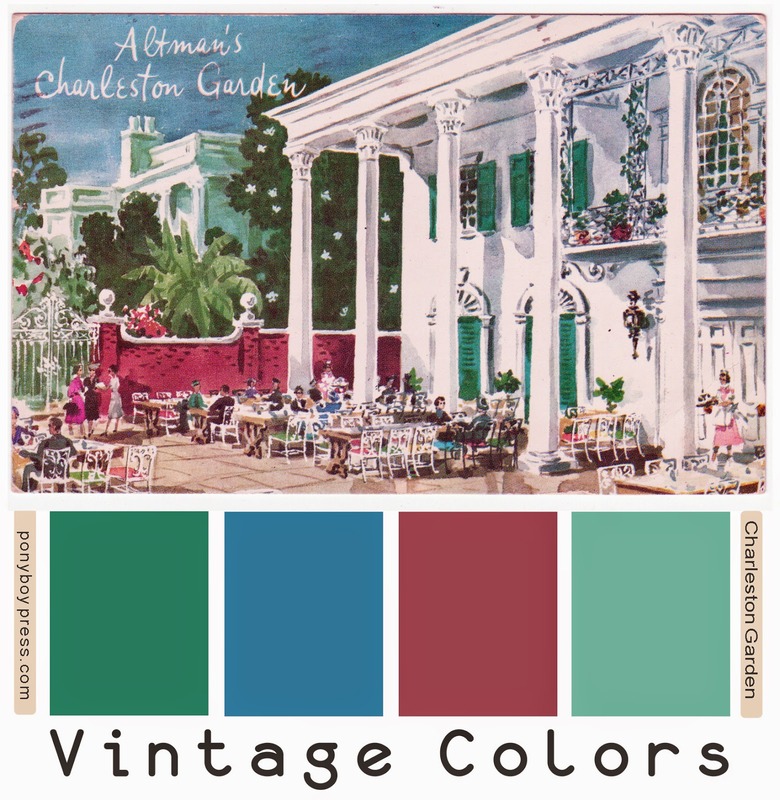 The above VCP is from a postcard for Altman's Charleston Garden on 5th Avenue in New York. This was the restaurant in B Altman & Co - a department store at the time. It seems to still be there as an event space. This restaurant was on the fifth floor of the building! Oh, I wish I could have seen it. 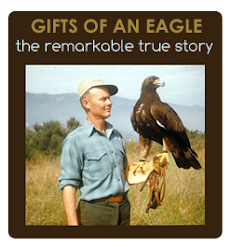 This postcard was sent in August 1956 to Laguna Beach, CA from Flushing, NY. The hex codes for this palette are from left to right: 287e68, 2e7a9a, 994c59, 70b4a4. 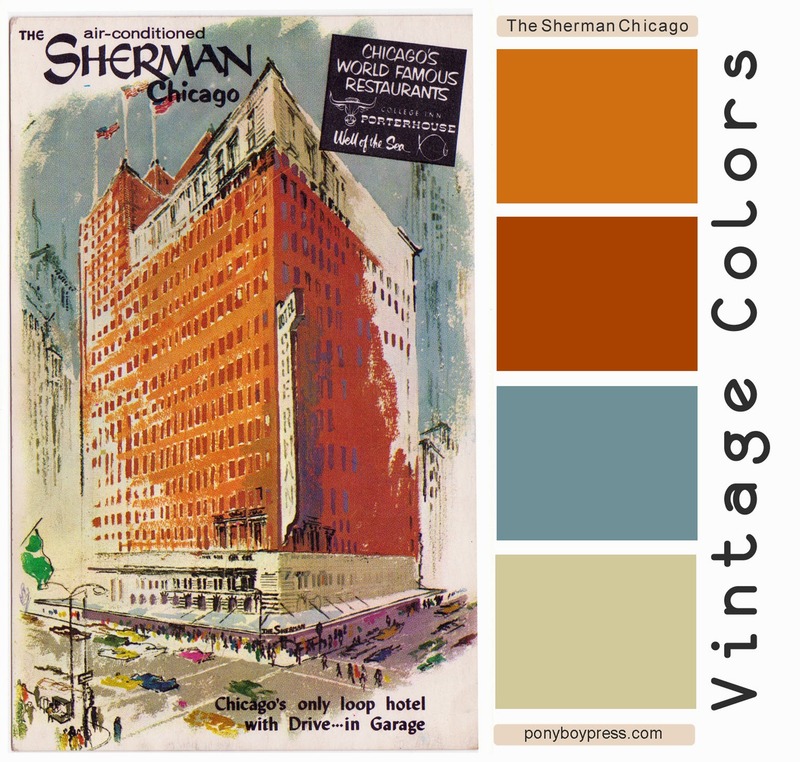 This illustrated advertising color palette is from a postcard for The Sherman Hotel in Chicago. This color palette is so sophisticated mid-century. I love the colors and could totally imagine a living room or office lobby done in these colors. This postcard has no message on the back. The hex colors for this palette are from top to bottom: d07828, aa4b0d, 76949a, d8cea8. 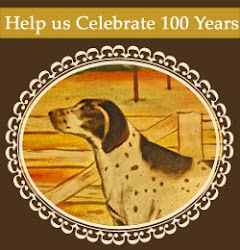 Not sure what these Vintage Color Palettes are about? You can use these color palettes for inspiration in decorating, painting and design. The hex colors are provided so you can use these color palettes in web and graphic designs. 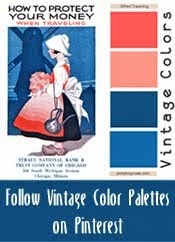 Follow this link to learn more about using Vintage Color Palettes.